IKEA has announced a new international food program that will help the furniture giant achieve a number of suitable supply goals. 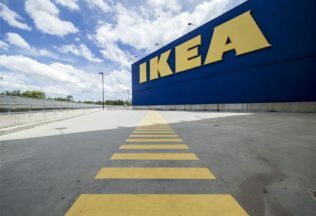 The ‘IKEA Food Better Programs’ will outline a set of sourcing criteria for all the major species in its supply chain. The program has a focus on animal welfare, antibiotics and environmental footprint. It is IKEA’s ambition that sourcing of eggs, chicken, pork, beef, dairy and salmon will be compliant with the Better Programs by 2025. IKEA will begin by focusing on chicken supply and has made public its sourcing criteria that covers stocking density, lighting, non-routine use of antibiotics and more. IKEA has made a goal of achieving most of this criteria internationally by either 2020 or 2025. Although IKEA is primarily a furniture retailer, it is well known for its food, especially its Swedish Meatballs. IKEA stores feature dining halls, hot dog stands and small supermarket sections where a variety of packaging, frozen and fresh foods are sold. What’s the latest on barramundi? A Rafferty’s Garden infant food product has been recalled as it may contain glass.